For those suffering from chronic inflammation or diseases such as inflammatory bowel syndrome, figuring out what foods work—and don’t work!—for you can make your head spin. Interestingly, however, new research suggests that that getting your gut health in check might have less to do with food you eat and more to do with a lack of food entirely, highlighting the potential role of fasting in healing and managing chronic digestive diseases. Researchers out of the University of Southern California point to what they call the Fasting-Mimicking Diet (FMD), a program developed by Valter Longo, Ph.D.—director of the Longevity Institute at USC in Los Angeles, author of The Longevity Diet, and guest on the mbg Podcast—as a new approach to consider. In the study, published in Cell Reports, this eating pattern not only reduced inflammation in humans, but also completely reversed some IBS symptoms in mice. So what exactly does it mean to fast, but not quite fast? In this diet plan, you’re never completely without food. Instead, researchers had mice reduce their caloric intake by half for a day, then down to 10 percent of what they’d normally eat for three more days. This stretch of four days was the “fasting” period, and when repeated every once in a while, the mice reaped the digestive benefits. By “mimicking” fasting, but still providing the body with some form of nutrients, the body can still rebuild its healthy cells and tissues. The mice that were put through comparison water-only fasting periods saw no change in gut-healthy improvements, demonstrating that even little amounts of food can go a long way. This isn’t the first time fasting has been in the spotlight. 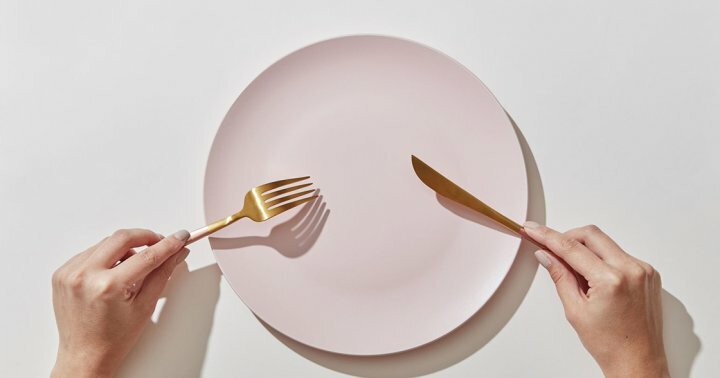 Intermittent fasting took over the wellness world with a laundry list of benefits like improved cognitive function, balanced blood sugar, and stable energy levels, just to name a few (seriously, IF has been hailed as a fix for just about everything, it seems). And while this fasting mimicking diet is distinct from intermittent fasting plans, like the 16:8 plan, they do have some overlapping benefits. For the 1.6 million Americans who suffer from some form of IBS, this is a big deal. Irritable bowel syndrome is—simply put—exactly what it sounds like. Even the most innocuous foods can send you down a spiral of debilitating symptoms like bloating, gas, and diarrhea, but the chronic condition has shown improvements when treated holistically. Whether it’s by “fasting-mimicking” or one of the many iterations of IF, manipulating not only the foods in your diet but the timing of your diet can be a solid place to start if you’re struggling with a chronic condition like IBS.